About the Book: Det. Roland March is a homicide cop on his way out. Houston homicide detective Roland March was once one of the best. Now he's disillusioned, cynical, and on his way out. His superiors farm him out on a variety of punishment details. But when he's the only one at a crime scene to find evidence of a missing female victim, he's given one last chance to prove himself. Before he can crack the case, he's transferred to a new one that has grabbed the spotlight--the disappearance of a famous Houston evangelist's teen daughter. All he has to do? Find the missing teenage daughter of a Houston evangelist that every cop in town is already looking for. But March has an inside track, a multiple murder nobody else thinks is connected. 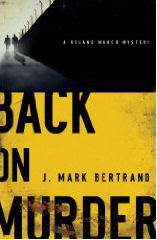 With the help of a youth pastor with a guilty conscience who navigates the world of church and faith, March is determined to find the missing girls while proving he's still one of Houston's best detectives. About the Book: What if the man you loved told you God wanted him to take another wife? What if that woman was your best friend? 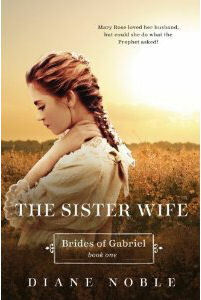 Set in the heart of the earliest days of a new nineteenth-century sect known as the Saints, The Sister Wife is a riveting account of two women forced into a practice they don't understand, bound by their devotion to Prophet Joseph Smith. When Mary Rose marries Gabriel, neither of them could foresee how quickly the community would turn to the practice of plural marriage. Devastated when Gabe is faced with an order from the Prophet to marry her best friend, Bronwyn, Mary Rose tries to have the faith to carry through with the marriage. But can she really be married to the same man as her very best friend? Can Mary Rose and Bronwyn face betraying both their husband and their God to do what they feel is right? Two very different books. What do you think? Either of them look good?